Glyphosate is an essential agronomic tool in Western Canada, but it’s under pressure from two directions: herbicide resistance and efficacy on the toughest broadleaf weeds. These Pre-School faculty members outline why pre-emergent herbicides now have a key role to play in a spring weed control program built around glyphosate. 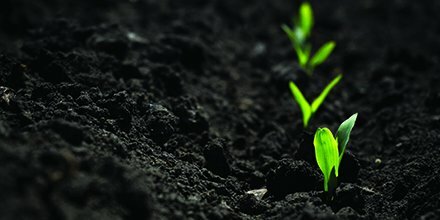 With the latest generation of pre-emergent herbicides, there’s never been an easier way to get powerful, extended weed control in place before seeding so your crop gets off to a clean start. Imagine a grower from the future showed up and told you what’ll happen with the resistant weeds on your farm if they’re not managed properly. Sounds like something ripped from a bad movie, right? A new generation of pre-seed and pre-emergent herbicides is improving weed control, boosting crop yields, managing the threat of resistance and saving growers time. Here’s a PRE overview from FMC’s PRE-School experts. Herbicide layering is a way to reduce your resistance risk. 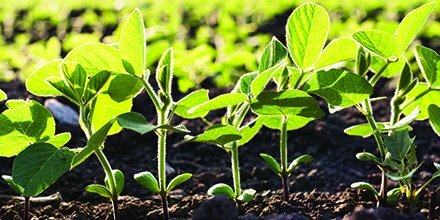 Researchers have found herbicide layering may offer you the best chance at reducing your overall resistance risk. Should you apply a PRE – even if you’re not seeing weeds? Picture this: It’s mid-April. You’ve had a cool, droughty spring and you’d be hard-pressed to find a single weed in any of the fields you’re about to seed. FMC’s Pre-School explores the agronomics and economics of early weed control. Today, more and more growers are bringing additional herbicides into their spring weed control plans. They’ve seen how burnoff add-ins, like Aim® EC herbicide, Heat®, Express® herbicide, Blackhawk™ and/or extended weed control herbicides, like Authority® 480 herbicide and Avadex® – can get their fields cleaner than a glyphosate-only spring application. Just a few years ago, many of these new pre-emergent users would’ve been reluctant to add another herbicide to glyphosate. Having used and trusted glyphosate for ages, they didn’t believe it needed any help. That thinking is changing, with more growers embracing pre-emergent herbicides as essential to weed control today… and tomorrow. Here are two ways pre-emergent herbicides are making a difference. Managing weed resistance. Over the past 20 years, the number of confirmed herbicide-resistant weeds has increased steadily. According to FMC’s Nolan Kowalchuk, growers are starting to feel cornered and are looking for a way out. Adding pre-emergent herbicides to the tank helps delay the development of resistant weeds. Adding Groups like 13 (Command® 360 ME herbicide, 14 (Authority® 480 or Heat®), and 15 (Dual II Magnum® or Focus®) brings another mode of action or two to the field so farmers can keep the traditional workhorses - Groups 1, 2, 4 and 9 - working into the future. Sharper weed control. With no sign of a breakthrough non-selective mode of action riding into town, it’s essential that growers preserve their ability to use glyphosate in the future. What about today? Each spring, growers in Western Canada contend with a host of tough broadleaf weeds, and a glyphosate-only application can only do so much. For the folks at FMC, talking to growers about the benefits of pre-emergent herbicides is getting easier by the day. With urgent concern about weed resistance and the need for early weed removal, it’s become clear that glyphosate needs help. That’s progress, and FMC’s Scott Knox sees more to come. One feature to keep in mind with some pre-emergent herbicides is that they need to be activated by rain or moisture. For example, Command® 360 ME herbicide from FMC needs a minimum of ¼ inch of rain for activation at once, while Focus® herbicide requires a minimum of ½ inch of rain at once. There are 2 application timing options to consider when using a pre-emergent weed control product. Let’s talk about spring timing first and how moisture plays a role in weed control. After your FMC pre-emergent herbicide is applied, it sits on the soil surface waiting for that early spring rain. The moisture allows the herbicide to form a powerful protective barrier that stops or slows down the growth of germinating weeds. Ideally, you should try to time your pre-emergent herbicide applications early in the spring, ahead of a forecasted rainfall event. Another strategy is, the earlier you apply, the more likely you are to catch a spring shower and achieve activation prior to the weed seeds germinating. But of course, nothing’s guaranteed when it comes to weather on the Prairies, and it can feel like a gamble applying a pre-emergent herbicide - or any other herbicide for that matter - if dry, windy weather is on the horizon. That brings us to a key question: what happens to your pre-emergent herbicide if that activating rain is delayed by a few days or weeks? Will it dissolve and break down, wasting an application? Not even close, says Sonia Matichuk, Technical Sales Manager at FMC of Canada. Matichuk adds that FMC pre-emergent herbicides are extremely photo-stable, meaning that they can withstand exposure to sunlight and won’t degrade or gas off. Now, let’s talk fall application timing. Another option growers may want to consider, is applying their pre-emergent herbicides at post-harvest timing in late October or November. Thing is, if you really do want a clearer idea of how the spread of resistant weeds could impact farming over the next 20 or 30 years, all you have to do is talk to an Australian grower. Josh Lade first came to Canada back in 2009 and originally hails from a smaller, mixed operation where he and his family farmed livestock, grains and potatoes. Today, he farms part of a 15,000-acre operation just north of Saskatoon, SK. For Lade, weed resistance was a reality of day-to-day farming life in Australia. Fast-forward to the present-day, and growing cash crops has become a tough, expensive prospect. Lade says that Australian growers will change up their crop rotations based on the dominant weed pressures in their fields, rather than grow the most profitable crops year over year. Australian growers are also using mechanical options, like seed destructor equipment to pulverize resistant weed seeds, or going in with a moldboard plow, inverting the top foot of soil and burying weed seeds so they can’t germinate. And when it comes to herbicide programs, Australian growers are forced to use higher rates and multiple modes of action on every acre. He adds that skipping a pre-seed burn-off and relying solely on in-crop herbicides isn’t going to cut it long-term if growers want to stay ahead of weed resistance. Lade stresses the importance of making an up-front investment in a pre-emergent herbicide – especially after discovering Group 1 and 2-resistant wild oats on his own farm a few seasons ago. Some years back, farmers in Western Canada were under pressure on several different fronts. With the rising threat of weed resistance, many growers found their in-crop application was becoming less effective year by year. Glyphosate – an essential weed control tool – had resistance concerns of its own. Meanwhile, with farm sizes increasing, more growers were needing to cover more acres and managing various farm operations. Farmers needed to find a way around these constraints, and pre-emergent herbicides have provided it. 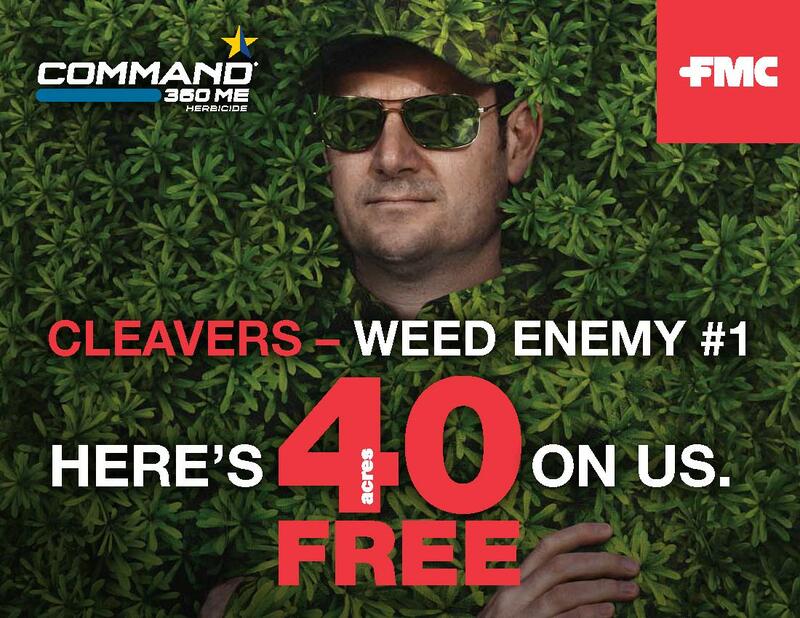 The arrival of a strong PRE product portfolio, led by FMC, has given growers a new set of tools to control weeds, achieve higher yields, manage resistance and save time. The agronomic insight behind PREs is one that growers know from personal experience, but it’s now firmly backed by science. Research over the years show that crop yield potential is largely determined early in the season. One way to maximize yields is to keep crops weed-free up to the 3-leaf stage. Weeds emerging later might be visually bothersome, but they won’t hurt yields much. Alongside early weed removal and higher crop yields, PREs are a powerfully, sustainable answer to the threat of herbicide resistance. The key resistance issues in Western Canada relate to herbicide Groups 1, 2 and 9 (glyphosate). PREs generally belong to Groups 3, 8, 13, 14 and 15. Even so, not all early-season herbicides are created equal. Soil-incorporated herbicides - heavily used twenty plus years ago that have staged a comeback as resistance concerns grow – require specialized and costly equipment and disturb the soil in a way most of today’s growers want to avoid. FMC PREs come in convenient liquid formulations and don’t require incorporation. Getting more of the year’s weed control done early in the spring also takes the pressure off in-crop applications and give growers more flexibility in timing their summer workload on the farm. By delivering effective early weed removal, helping to maximize crop yields, managing resistance and freeing up the grower’s time, PRE herbicides provide what crop producers are looking for in 2019. When it comes to resistance management, what’s the number one thing we’ve been told to do over the past several years? Rotate your herbicide groups. Then from there, we’ve moved to adding multiple modes of action into the same tank mix. However, researchers have found herbicide layering may offer you the best chance at reducing your overall resistance risk. The idea behind layering is to use multiple herbicide groups and actives at different application timings to control the same resistance-prone weeds in the same fields. Unlike straight tank-mixing, herbicide layering doesn’t require you to spray all your active ingredients within the same tank load. Instead, it’s different application timings. You may start with a pre-seed application of multiple herbicide groups before following up in-crop with a completely different set of groups. Nolan Kowalchuk, Technical Sales Manager at FMC of Canada, recommends growers start their herbicide layering program by applying an extended control, pre-emergent herbicide – such as Focus® (Group 14 and 15) – at pre-seed timing. Once activated by rain or moisture, pre-emergent herbicides create a protective “barrier” within the top layer of soil that controls weeds as they germinate. This herbicide barrier can help cut back resistant weed populations right out of the gate. “Just as an example - if you’re dealing with Group 2, 4 or 9-resistant kochia, applying a pre-emergent product like Focus® herbicide with glyphosate gives you Group 14 activity on any emerged, resistant kochia and Group 15 activity on resistant kochia that’s germinating or about to emerge,” explains Kowalchuk. He adds that the pre-emergent herbicide does a lot of the heavy lifting up-front, which allows your in-crop herbicide to be more effective and reduces the chance of more resistance issues cropping up. Traditional Group 2 products can still fit in other areas of a grower’s herbicide program, as they control perennial weeds, like narrow-leaved hawk’s-beard and dandelions, where there are few herbicide options. But in addition to perennial weeds, growers may have resistant wild oats, kochia or cleavers in their fields. This is where layering in pre-emergent herbicides can help provide a valuable first line of defense on those resistant weeds. “Ideally, you’ve got newer modes of action in your pre-emergent herbicides controlling the resistant weeds and the traditional Group 2s working on weeds like hawk’s-beard and dandelion,” he says. “And by layering in pre-emergent products for your resistant weed populations, you’re covering parts of your weed spectrum that other modes of action can’t manage as effectively. Getting a head-start on seeding seems like the smart move – especially when there haven’t been any heavy rains to keep you out of the field. Fast forward a couple weeks: you get the whole crop in without too many hiccups, but then the rain finally comes. Suddenly, there’s an explosion of cleavers clogging up that clean, weed-free field. Worse yet, the weeds are now out-competing your crop right as it’s emerging. Here’s the harsh truth: you’ve always had weeds – and you always will. They just may have taken a while to wake up and start causing you grief. Weed seeds are notoriously resilient and will lie dormant in your soil for years – decades, even – just waiting for the right conditions to germinate and flourish. As a result, growers can get caught out by big flushes of weeds after a cool, dry spring gives way to rain. He adds that putting down a PRE herbicide prior to seeding – even when you don’t see weeds – sets up a layer of control by forming a protective barrier at or near the soil surface. Once your PRE herbicide is in place, it offers long-lasting extended control of weeds before – or shortly after – they emerge. Some PRE herbicides will sit on the soil surface until they are activated by moisture. That way, when you do get that shot of spring rain, the PRE gets right to work – ideally at the same time as weeds are germinating. Another major factor to consider is resistant weed management. PRE herbicides provide alternative modes of action (which tend to come from Groups 3, 8, 13, 14 and 15 to name a few) that target Group 1, 2 and 9 resistant weed populations and reduce the overall resistant weed seed bank in your field. Then, as you get into the season, far less pressure is placed on in-crop herbicides to clean up your fields.